Asst. Prof. Galia Novakova holds MSc degree in Information and Management Technologies (5 year course) from the Chemical-Technological and Metallurgical University, Sofia (1998) – Faculty automation of production. She has a second MSc degree (one year international course taught in English) in Quality Management and Statistical Process Control from the same university. Dr. Eng. Galia Novakova also holds PhD in Industrial Engineering and Management from Polytechnic University of Torino and University of Parma (consortium program), Italy. She took part in various research groups and she performed postdoc at Polytechnic University of Milan, Italy during 2003-2005, at CNR – National Research Center in Milan, Italy during 2006, University of Missouri Science and Technology, USA during 2010-2011. She has also participated in various scientific conferences presenting articles (Dubai, Hong Kong, Orlando, Kuala Lumpur, etc.) and she has been six times session chair in them. She is author and co-author of many articles in conferences (about 30) and papers in scientific journals (about 7). She publishes two handbooks for the students at the Faculty of mathematics and informatics (FMI), Sofia University. She knows fluently English, Italian, Russian. Dr. Novakova has given lectures and seminars to students not only in FMI, but also in Polytechnic University of Milan, Italy (2002-2006), in USA (University of Missouri, 2010-2011) and in Germany (University of Ostfalia, 2015). She has taken part in 4 international scientific projects in Italy. She has more than 5 citations of her publications in international scientific journals with impact factor. Dr. Eng. 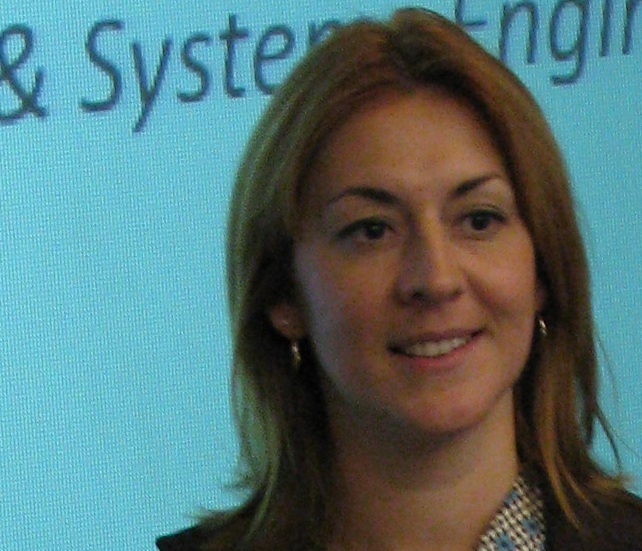 Galia Novakova Nedeltcheva has sound practical experience – she was appointed as advisor to the Minister for development of eGovernment at the Council of Ministers in Republic of Bulgaria in 2013. Sha was also a manager of IT projects (Methodia, Bulgaria and TXT e-solutions, Milan) and consultant in quality management and statistical process control in Italy (MAP Ltd., Saronno, Italy). She serves as a reviewer for various conferences and for the International Journal of Production Research. She has been a supervisor of more than 10 successfully defended students as well as a reviewer of 10 master theses. Her scientific interests are mainly in the field of software engineering, cloud computing & big data, operations management and supply chain management, performance measurement (PMA), e-Business and e-Government, statistical process control. Alexandrina Slavova (М23664) MSc thesis entitled: “White box, Black box and Grey box techniques for software testing in the quality management”. Graduated in July 2014. Elitsa Georgieva (М23708) MSc thesis entitled: “Improvement of agile process methodologies in the software solution development under geographically distributed teams”. Graduated in March 2015. Krassena Nikolaeva (M24578). MSc thesis entitled: “Optimizing IT Portfolio Project Management Processes with Lean-Six Sigma DMAIC Methodology”. Graduated in July 2015. Salzitsa Arnaudova (М24588). MSc thesis entitled: “Risk Management Modeling in the Supply Chain”. Graduated in July 2015. Georgi Pachov (M24422), MSc thesis entitled: "Automated Public Opinion Research – A System for Collecting User Reviews". Graduated in July 2015. Irena Jelyazkova (M22449), MSc thesis entitled: "Management and Optimization of the Software Testing Process by Building a Network of Relations”. Graduated in July 2015. Tasana Kostic, MSc thesis entitled: “Optimization of SCM Processes by Application of Lean Six Sigma and Taguchi Methods in the Food Industry”. Graduation in July 2016. Igor Costic. MSc thesis entitled: “Intelligent Systems in Automation Technology: the Integration of Information Systems with the PLS/ PLM systems”. Expected graduation in Oct. 2016. Diana Todorova. Proposal of automation testing framework for Web apps with Selenium WebDiv. Graduated in July 2016. Didi Nalbantova, MSc thesis entitled:”Optimization of Transportation Network with Visum Software”. Expected graduation in Oct. 2016. Nikolay Arhangelov (M24158), MSc thesis entitled: “Mobile Application for economic Driving M8”. April 2014. Veneta V. Bogoeva (M23913), MSc thesis entitled: Web based system for monitoring of personal finances “E-management of personal finances”, July 2014. Nadia Yanakieva (M23660). MSc thesis entitled: „Web-based application for personnel information management – Musala Directorty Services”, Nov. 2014. Yanko Nikolov (M24258). MSc thesis entitled: “Vacation Management System”, March 2015. Yana Gerovska (M24260). MSc thesis entitled: “E-services of GRAO”, March 2015. Kamelia Krastanova (M24335). MSc thesis entitled: “National register of the Producers and Resellers of Bioproducts - BIOgraphia”, March 2015. Violeta Naidenova (M24990). MSc thesis entitled: “Mobile application integrated with local implementation of FixMyStreet for problems reporting to local authorities in Sofia”, March 2015. Alexander Lekov (M24125). MSc thesis entitled: “Antiradar: A software system for collection, visualization and alerting of locations of traffic enforcement cameras”, March 2015. Elitsa Staneva (M24257). MSc thesis entitled: “Generating a Company Newsletter by Using an Enterprise Social Network”. Graduated July 2015. Anton Nikolov (M23218). MSc thesis entitled: “Measuring Performance of an Investment, Statistical Metrics and Risk Analysis”. Graduated July 2015. Galia N. Nedeltcheva, Kenneth M. Ragsdell. “A New Approach to Optimal Investment Portfolio Management”. International Journal of Global Management Studies, Vol. 2, Issue 2, 2011, pp. 16-34. Galia Novakova. “Optimization and Cost Estimation of Process Plans”, Mashinostroene Journal, No 6, 2002, Sofia, Bulgaria. Galia Novakova. "Process Planning Based on Product Modeling", Mashinostroene Journal, No. 6, 2002. Sofia, Bulgaria. „Evaluating Supply Chain Integration: a case study using fuzzy logic”, Roberto Cigolini, Tommaso Rossi; and acknowledgments to Dr. Galia Novakova Nedeltcheva for insightful suggestions into the paper in the Journal of Production Planning and Control, Vol. 19, No. 3, April 2008, 242–255. „Form Error Precision Metrology - A Survey of Measurement Techniques”, 2011. Gosavi A., G., Cudney E. The authors thank Dr. Galia Novakova for pointing us to references in the literature. Irena Jelyazkova, Galia Novakova Nedeltcheva. „Management and optimization of the software testing process by building a network of relations“. 125 year jubilee Conference in Mathematics and Science in Sofia University, Bulgaria. 5-7 Dec. 2014. Galia Novakova, Kamen Spassov, Shahram Taj. Innovative Supply Chain Techniques for Management Decisions (Track on Supply Chain Management), APDSI-ICOSCM-ISOMS 2014, 8th International Conference on Operations and Supply Chain Management “Global and Sustainable Supply Chain in the 2010s”, Yokohama, Japan, 18-22 July, 2014. http://www.apdsi2014.org. Galia Novakova Nedeltcheva. “Policies of Innovation and Differentiation Between Competitors in the Long Renting and Fleet Management”, Proceedings of the International Conference on Operational Research and Development, ICORD-V, Jamshedpur, India. 19-21 Dec. 2005. Pp. 308-312. Galia Novakova Nedeltcheva, Alessandro Brun, Paolo Gaiardelli, Donatella Corti. “Design of a Performance Measurement Architecture for Integrated After-Sales Processes”, Performance Measurement Association (PMA’04) Conference, EICC, Edinburgh, UK. 28-30 July 2004. Pp. 163-168. 2Galia Novakova Nedeltcheva, Alessandro Brun, Sergio Cavalieri. “Logistics and Organizational Models for the After Sales Service Processes – ASAP Project”, Proceedings of the International Intelligent Manufacturing Systems - IMS Forum 2004, Vol. 2, pp.1046-1055. Global Challenges in Manufacturing, Como, Italy, 16-18 May 2004. Alessandro Brun, Galia Novakova Nedeltcheva. “Study of component criticality in multi-level production systems: the Nuovo Pignone experience”, International Management and Engineering Conference (IME’04), Sofia, Bulgaria. 13-15 May 2004.
lessandro Brun, Galia Novakova Nedeltcheva, Donatella Corti, L. Songini. “Conceptual Framework for Assessing Operative and Economic After Sales Service Performance”, Production Economics Conference IGLS’04, Innsbruck, Austria. 17-20 Feb 2004. Alessandro Brun, Galia Novakova Nedeltcheva, Donatella Corti, Bastian Gierlinger. "A Conceptual Framework for After-Sales Service Performance Operative Measurement", 3rd International Workshop on Performance Measurement Organized by the IFIP WG5.7 Special Interest Group on Performance Measurement. University of Bergamo, Italy. 19-20 June 2003. Alessandro Brun, Galia Novakova Nedeltcheva, Marco Spinelli. “FMEA Technique: an Industrial Case”, Annual National Conference, ANIMP-OICE-AUMI, 30-31 Oct. 2003, Rapallo, Genova, Italy. Galia Novakova Nedeltcheva, “Development and Application of Adaptive Statistical Control Charts in Mechanical Part Manufacturing”. Ph.D. Thesis (in English). March 2003. Galia Novakova Nedeltcheva, Fiorenzo Franceschini. “Impact of Process Data Autocorrelations on the Capability Performance of Automotive-Component Production”, Automotive & Transportation Technology Congress and International Body Engineering Conference ATTCE & IBEC 2002, Paris, France. 9-11 July 2002. http://papers.sae.org/2002-01-2121/, pp. 992-1000. Galia Novakova Nedeltcheva, Alessandro Brun. “Adaptive Control Charts: A Case Study from an Automotive Production Process”, Proceedings of the Intelligent Computer Manufacturing Engineering ICME, CIRP 2002 International Conference, Ischia, Naples, Italy. 3-5 July 2002. Galia Novakova Nedeltcheva. "A Reliable Computer-Aided Process Planning Application – Case of MetCAPP Software", Proceedings of the Safety and Reliability International Conference ESREL’01. Polytechnic University of Turin, Italy, 16-20 Sept. 2001. Volume Nr. 3, pp. 1699-1707. Galia Novakova Nedeltcheva. Seminar: Intelligent Investing on the US Stock Market. Missouri University S&T, USA. Sept. 2011. Galia Novakova Nedeltcheva. “Review on Virtual Manufacturing”, November 1999, Polytechnical University of Turin, Italy, Department of Production Systems and Economics. Technical report, 50 p.